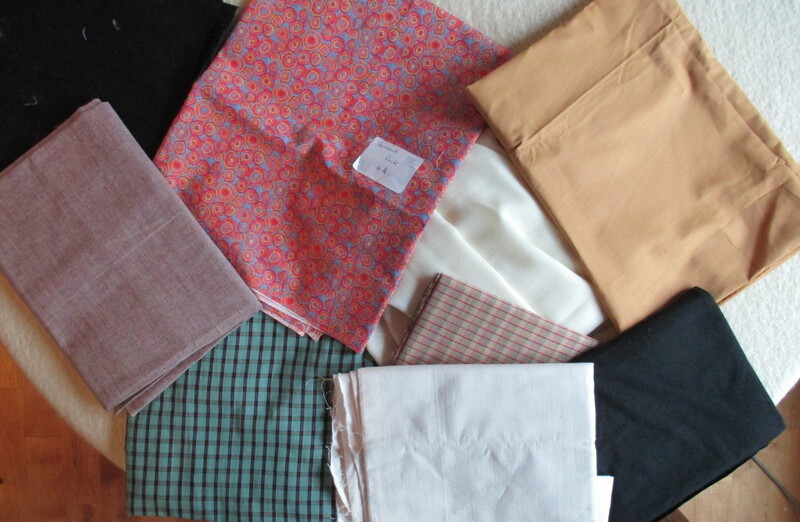 SO, I was pleased with my purchase last week of about 10 metres of organic cotton from the Organic Textile Company [http://www.organiccotton.biz/], at a cost of £39.50. It was a job lot, like buying a box of goodies at an auction. Some of the pieces are not for me, and I shall bring them to our fabric swap at the Skills Share weekend, but other pieces I shall use myself, as they are, or dyed. And the bright orangey-pink one I shall cherish. Do have a look at the Organic Textile Company’s website next time you want some fabric.